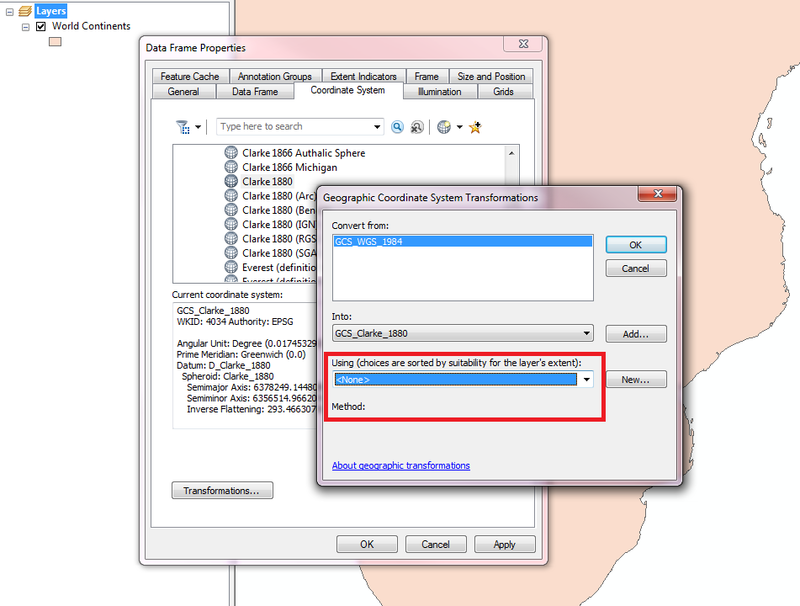 ArcGIS 10.3.1 has no transformation for GCS_Clarke_1880 to GCS_WGS_1984. Why is this the case, what have I missed? Do we have to write a custom transformation? There are a heap of Clarke transformation equations on stack. But I don't understand why. Browse other questions tagged arcgis-desktop arcgis-10.3 coordinate-system or ask your own question. How to convert from one ellipsoid to another?